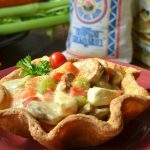 Tender chicken breast, peas, mushrooms, and carrots simmered in our San Antonio River Mill Brand Chicken Gravy, topped with a flaky homemade pot pie crust. Melt butter in sauté pan; sauté celery, carrots, onions, until just tender. 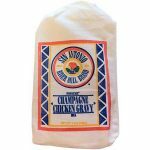 Add sautéed vegetables, red pepper, mushrooms, peas and cooked chicken to prepared gravy. Simmer on low 18-20 minutes; add half and half, stir well, remove from heat. Heat oven to 400°F. Spray each tortilla pan mold with pan release. Pour Baking and Biscuit Mix in a large bowl, cut cream cheese and butter into the mix to make dough. Turn dough onto a floured surface. Gently knead 3-4 times; roll dough ⅛” thick. Using the tortilla pan mold as a guide, cut the dough into a circle to cover the tortilla pan mold. Place dough circle over tortilla pan mold, press into the sides, cut off excess dough from sides. Remove from oven. Remove the pie weights and parchment paper, return to oven and bake for 8-10 minutes longer or until the dough is golden brown and center is thoroughly baked. Let bowls cool. 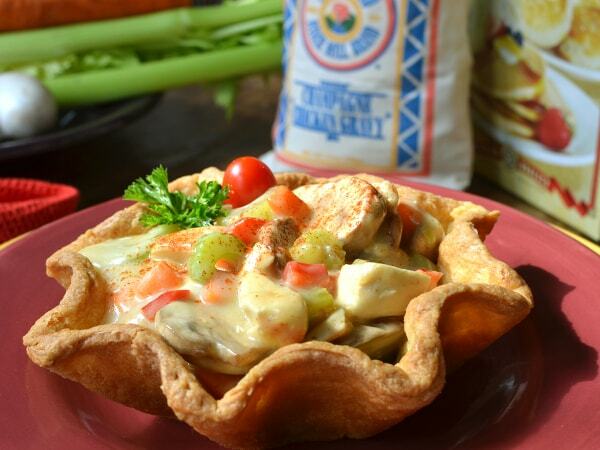 Ladle Chicken Pot Pie mixture into the bowl and garnish with minced parsley or paprika. 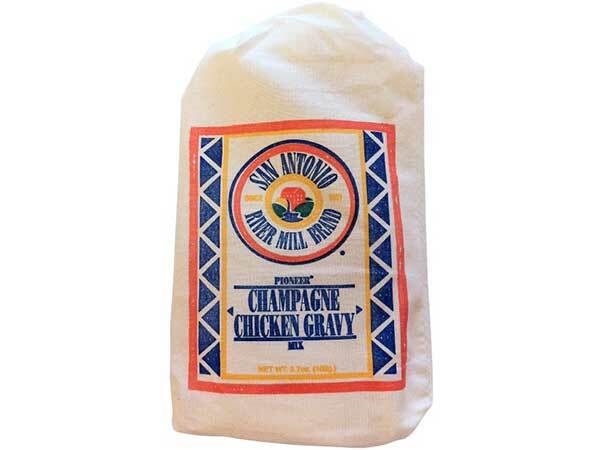 *note: each bag of Champange Chicken Gravy Mix contains 3 pouches.